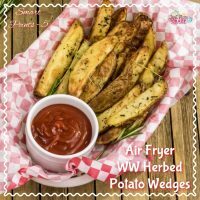 Air Fryer Herbed Potato Wedges – Great In The Oven Too! 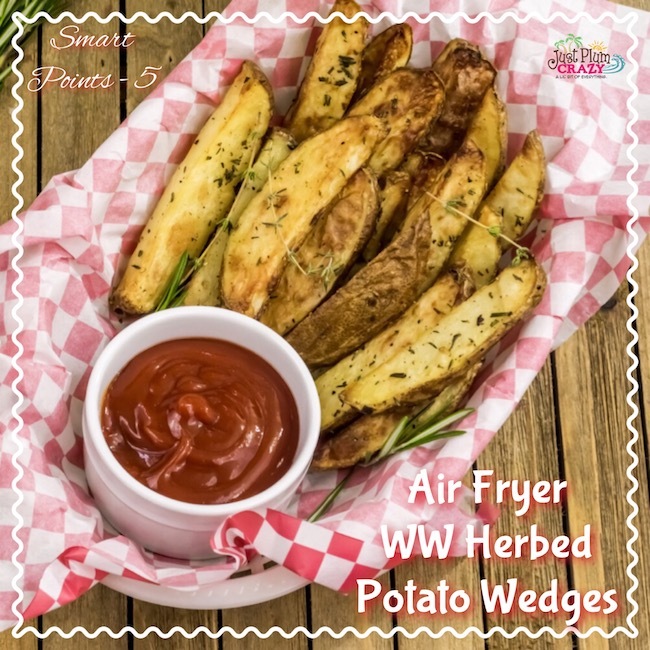 A family favorite, our herbed air fryer potato wedges is sure to be a hit with every family member. They are easy to make and ready in under 30 minutes! And if you are on Weight Watchers – they are just 5 Smart Points! 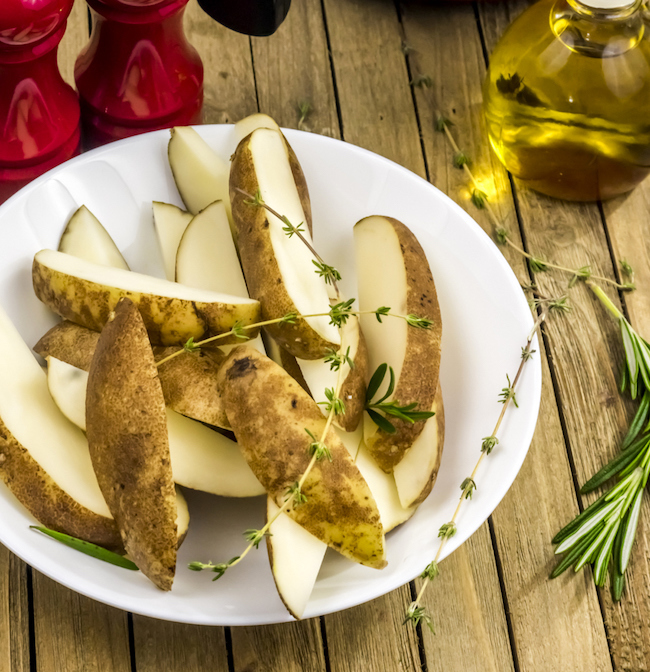 These potatoes are the perfect side dish for our air fryer whole chicken recipe that shows you how to make a whole chicken in an air fryer. 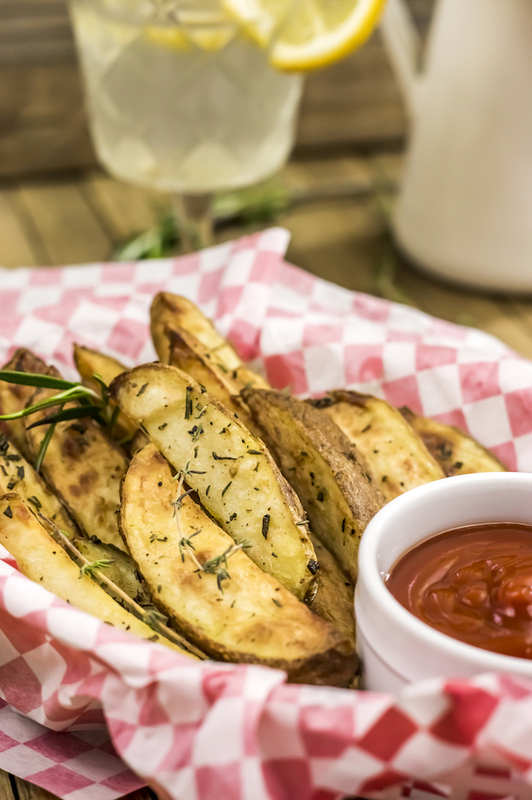 Herbed Crispy Skin Potato Wedges Recipe! 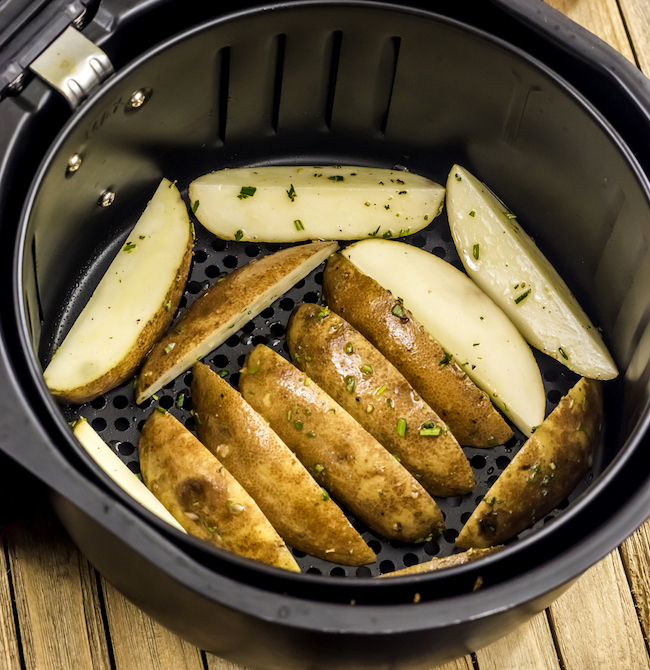 The air fryer has been the one thing in my life has brought me so much happiness! When I decided to try to make the potato wedges I was hesitant, but I am so glad I made them because they came out amazing! It not only saves on calories but also cuts down on the heat in the kitchen in addition to eating healthy. Note: There is nothing special that makes these a Weight Watcher’s recipe. It’s a regular recipe that I calculated the Smart Points for. They can also be made in the oven if you don’t have an Air Fryer. Wash and scrub clean the potatoes. Slice the potatoes, lengthwise, in half. Then cut each half into 2 or 3 wedges, depending on the size of the potato. 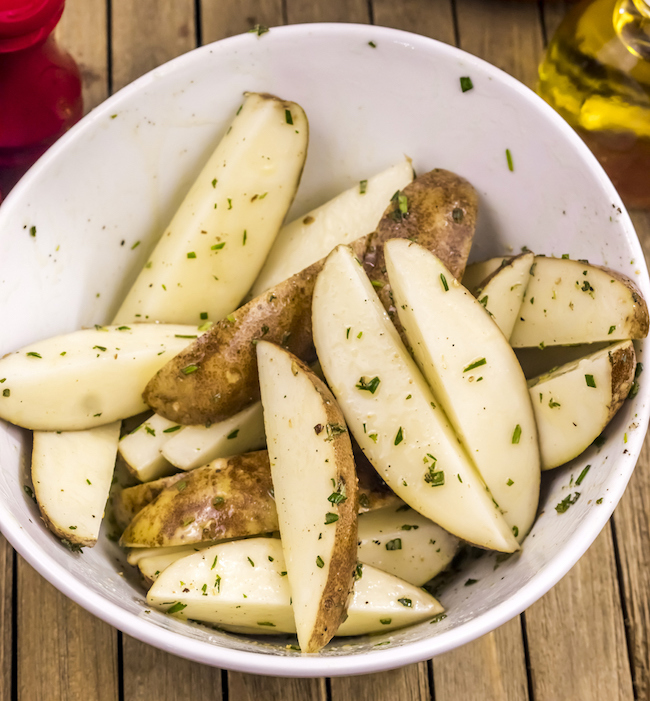 Soak the potato wedges in cold water for 20 minutes. Drain the potatoes and pat dry the kitchen towel. 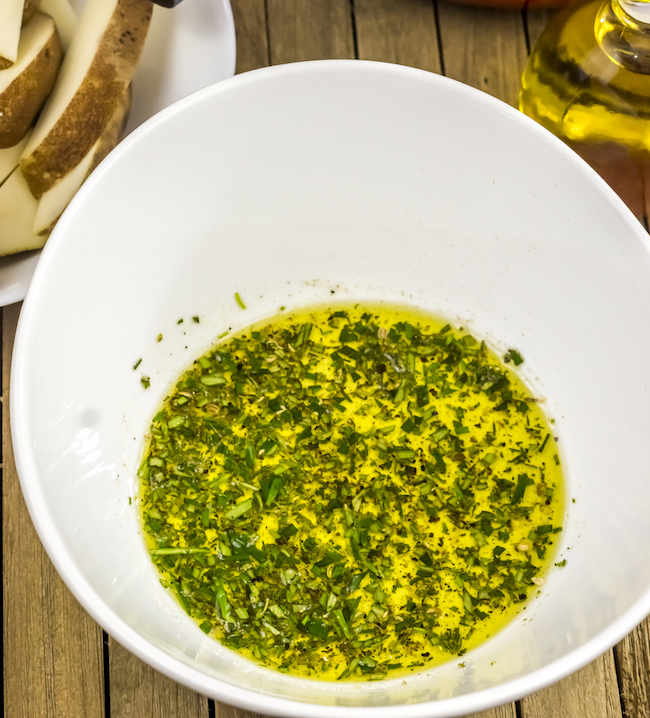 In a large bowl mix the oil, fresh herbs, salt and pepper. Mix it well. Toss in the potato wedges. Mix well, making sure each wedge is completely coated with oil-herb mix. 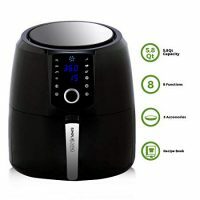 Lightly grease the air fryer basket with oil mist. 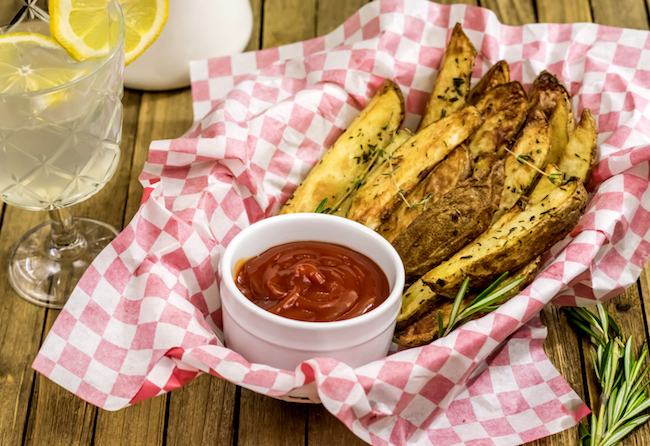 Place the of potato wedges in a single layer. This needs to be done in batches. Air Fry at 350 F for 15 minutes, shaking and flipping the wedges after every 5 to 6 minutes. 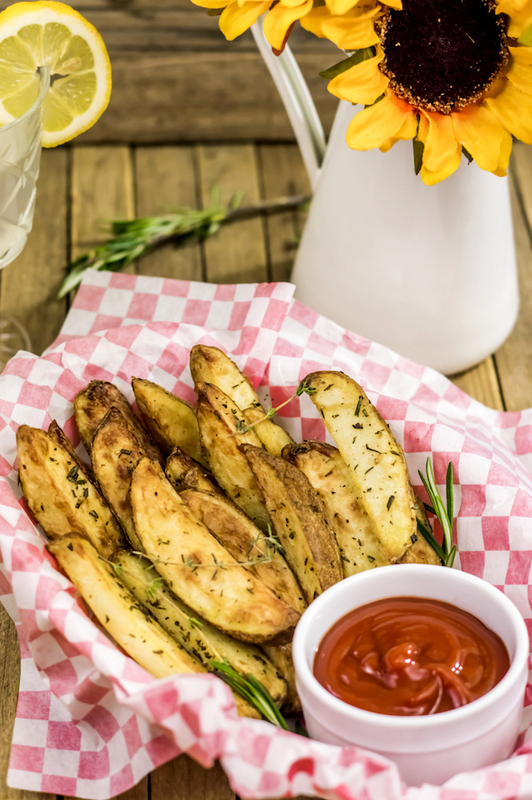 The potato wedges are done in 15 to 17 minutes. If you want even crispier, air fry for additional 3 minutes at 400 F.
Alternatively you can bake them in the oven if you do not have an air fryer. All the steps above would be the same, but you would need to preheat your oven to 425 degrees, lie your potatoes on a baking sheet and place in the oven for about 25 minutes. Your potatoes will be done when you can pierce them with a fork. Soaking the potato wedges, get rids of the excess starch, resulting in a crisper fries. In place of fresh herb, feel free to use the dried variety. You will need just ½ teaspoon of each herb in the dried variety. Smart Points calculated with the Weight Watcher’s recipe builder. Wash and scrub clean the potatoes. Slice the potatoes, lengthwise, in half. Then cut each half into 2 or 3 wedges, depending on the size of the potato. 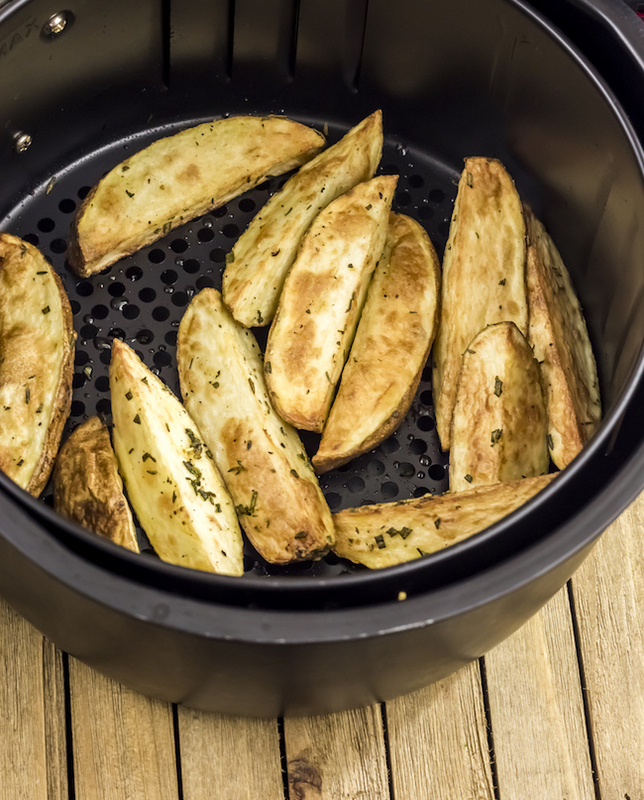 Soak the potato wedges in cold water for 20 minutes. Air Fry at 350 degrees for 15 minutes, shaking and flipping the wedges after every 5 to 6 minutes. 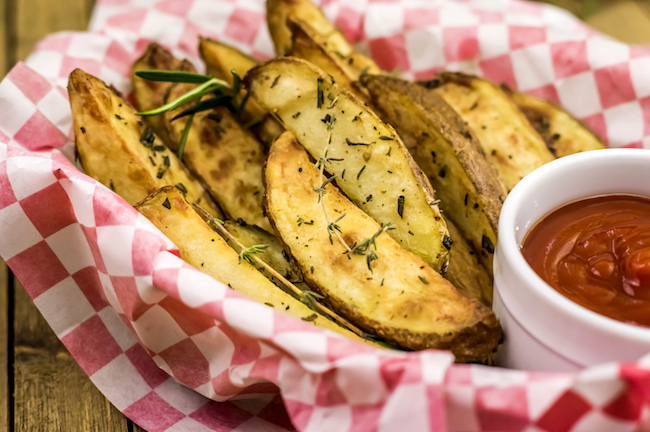 Soaking the potato wedges gets rid of the excess starch, resulting in crisper fries. Smart Points calculated with the Weight Watcher's recipe builder.